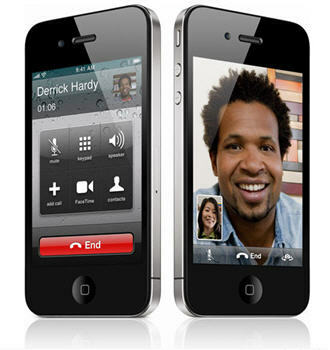 Last night Apple unveiled it’s newest version of the iPhone, the iPhone 4, with a faster processor, better screen and front and rear cameras for FaceTime video calling. While the announcement was expected and even the new features weren’t all that surprising, we delve deeper to see why you should upgrade to Apple’s latest creation. The biggest problem with FaceTime isn’t just the terrible name, it reminds me of the awkwardness felt when you’ve got your face too close to someone else during Twister or some very weird American-macho-male activity “I’m just going to the pub for some FaceTime with the guys”, but also the fact that it only works on WiFi. I’m guessing 3G video calling is only a few months away. Other downsides are the fact that there is no live video streaming as you can only record video then upload it. The phone itself is gorgeous, I love it! I never liked the look of the iPhone before and I think this version looks cool and modern. The stainless steel band that goes around the phone is an antenna system. It’s also incredibly thin. 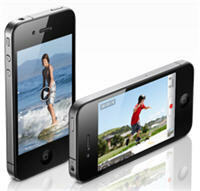 The iPhone 4 is 4.5 x 2.31 inches, and just 0.37 inches thick! It weighs 137 grams (4.8 ounces). The screen is a 3.5-inch multitouch screen and has a resolution of 960 × 640 pixels with, what Apple calls the ‘Retina display’, four times as many pixels as the current iPhone 3GS display. The iPhone 4 has the same chip as the iPad, an Apple A4. Inside the A4 there are a few interconnected chips: A Cortex-A8 main processor unit–the main brain–paired with a PowerVR SGX 535, which handles the high definition graphics of the new iPhone. These are directly connected with each other and two low-power 128MB DDR SDRAM chips. Since all these components are in the same chip, Apple claims the iPhone 4 can process data more quickly while consuming less battery than before. The new iPhone 4 has a gyroscope built-in. This means that it can track movement with amazing precision, a lot better than the accelerometers in the previous iPhones. It’s 3-axisalong with the accelerometer, you basically have 6-axis motion sensing similar to the PS3 controller. Although the iPhone 4 is far more powerful than the 3GS, the battery life is greater with 7 hours talktime, 6 hours web on 3G and 10 hours WiFi browsing (on 802.11n). The camera has been upgraded to 5 megapixels, with 5 times digital zoom and a “backside illuminated sensor,” which now can record HD video at 720p / 30fps. Apple have renamed the operating system, it’s now called iOS4 instead of iPhone OS 4. What’s great about iOS4 is of course multitasking… FINALLLY. By tapping the home button twice you can choose which app you want to use and which ones you want to close. Nice and slick. The OS as a whole is quick and unbelievably intuitive. You could edit video before but with Apple’s new iMovie for iPhone there are 1,500 new features, so editing movies on the iPhone is probably easier than what most people use on their home computer! It can edit on 720p HD and add effects and music from iTunes to your vid. You can even export to 720p. It doesn’t come with the iPhone 4 but you can download it for $4.99 from the app store. iBooks will also be available, same as the iPad, and with the incredible display will make reading eBooks very easy. 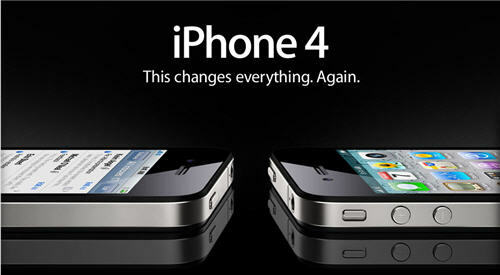 The iPhone 4 will come in black or white at $199 for the 16GB model and $299 for 32GB. It goes on sale June 24th, and the 3GS will be dropped to $99 with the 3G disappearing completely. Pre-orders start next week, with the US, France, Germany, UK and Japan kicking us off and 18 more following in July. There is nothing new here but everything is better. While video calling is old hat (the fact that it can only do it on WiFi renders it almost useless) it’s the fact that Apple do these things better. You may have video editing software on your phone but it won’t be as good as this, you may have a camera on your phone but it won’t be as fun as it is on the iPhone 4. I don’t think I will upgrade immediately but I do know that while the iPhone 4 doesn’t break any new ground, it certainly relays it and makes the grass look far greener. I am in a dilemma, I don't know if I should buy a stand alone player for my nephew or maybe shop for an iphone 4g. 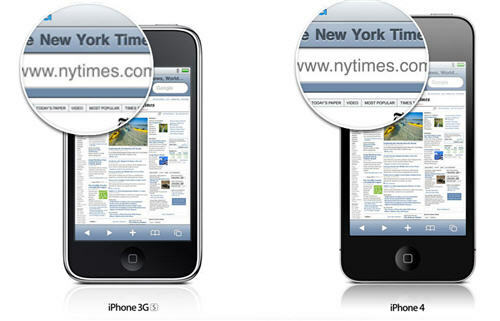 Why use the Google app instead of just using Google in Safari? The main reason is this: Voice Search. I would say that some of these missing features will eventually come along but seriously folks; this is a work in progress. While the iPhone features a wonderful style, serious flaws keep this from being what a smartphone is supposed to be. We are talking about a smartphone here, not a daily cellphone to which everybody appears to use as comparisons. Android, iPhone, Palm & Windows Mobile 7 Compared - The Ultimate Mobile OS Video Comparison This article hopes to go through what the positives and negatives of each OS is in plain english without any jargon. The video below is the first part of this analysis. Watch the video, listen to the cases made and vote on your favourite. 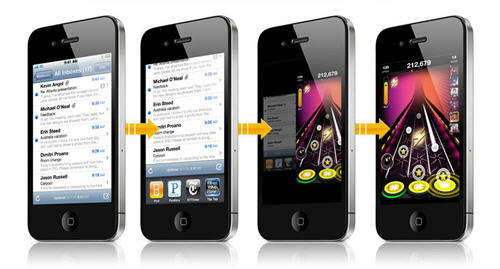 Apple iPhone iOS4 - The best OS out there? As far as operating systems go, Apple's is probably the most simple and straight forward. You have a grid of apps that do various things. And that's it, simple.